PRESCOTT, AZ! Located in the desirable natural setting of Grand View Estates surrounded by Boulders-Trees-Views. This is a must see located on .99 acre off a private driveway tucked away. Owned solar with remodeled enterior, beautiful lighting and finishes. Two decks in back with views..views..views! Fenced front yard with outdoor lighting and drip system on timers. This home is gorgeous and ready to move into. No HOA’s!! Close to hospital, shopping and under 4 miles to prescott’s famous Whiskey Row! Directions: Iron Springs, Right on Williamson Valley, Left on Gilmer Hts. Located off private driveway. Approximate size: 43124.00 sq. ft. Please, send me more information on this property: MLS# 5906340 – $624,900 – 1720 N Gilmer Heights, Prescott, AZ 86305. 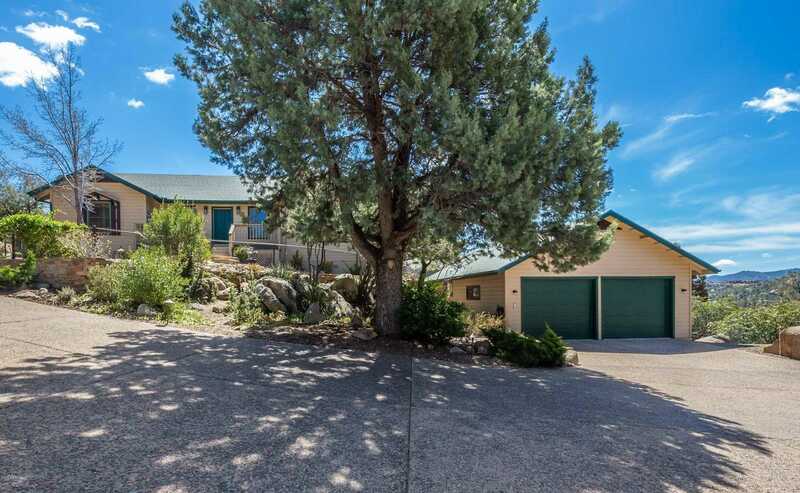 I would like to schedule a showing appointment for this property: MLS# 5906340 – $624,900 – 1720 N Gilmer Heights, Prescott, AZ 86305.